When making university preparations there are a great many things to consider. Excellent guides such as this one from the UK’s Universities and Colleges Admissions Service (UCAS) outline many practicalities, from arranging one’s finances to securing decent accommodation. While this information is useful, what is less understood and explained is how our budding scholars must prepare themselves psychologically for what is often a life-changing experience, lasting anywhere between three years and the best part of a decade. Culture shock is perhaps one of the greatest causes of undue stress, which in turn may lead to other issues. It’s important to observe the role schools can play in offering the best university preparation possible, starting from a young age. 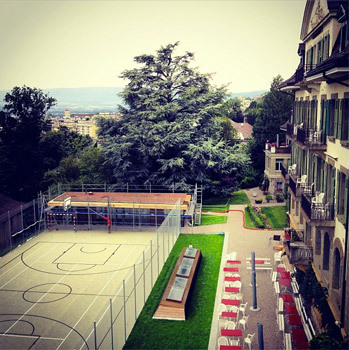 Students attending international schools such as Brillantmont here in Lausanne, Switzerland, are given a definite head start when it comes to preparing for life at universities at home and abroad. It’s not just boarding school students that grow accustomed to life away from their families at a younger age, day students too share the experiences of their friends. Relationships are built with students from many different cultures and ways of life, thus opening minds to greater possibilities beyond the age of 17, both in education and life in general. Students of Brillantmont, and other schools like it, are arguably less likely to experience the culture shock of the university, which can be hard to foresee. Greater teacher and pastoral support during their formative school years also contributes greatly to a more mature outlook and approach to the world. 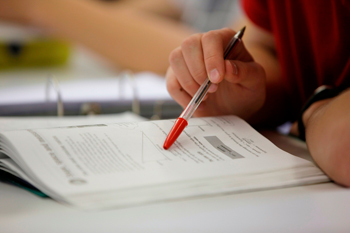 Indeed, it’s easy to see that a student immersed within a school that fosters positive attitudes to learning and living in foreign climes is receiving among the best psychological university preparation possible. UCAS: What should I do to prepare for starting university or college?